10ft USB KVM Cable: Used to Connect USB Style KVM Switches to the Computer. Premium Quality Cable with Ferrites and Gold Plated Contacts. 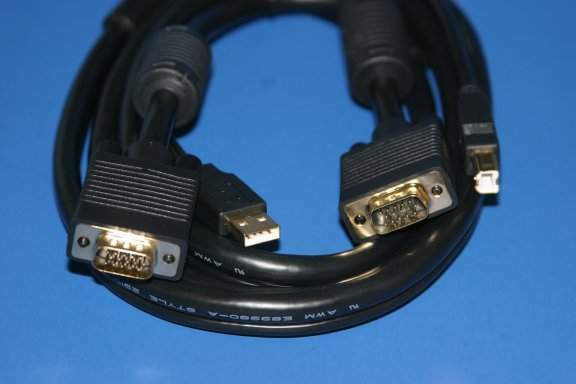 Video Cable is made out of UL Listed 2919 Wire with Built in Coax Cable.